Wolfsheim was formed in 1987 by the brothers Markus and Olli Reinhardt, and Pompejo Ricciardi. The name wasn't taken from the city in the Rheinland-Pfalz, but from none other than Scott Fritzgerald's novel, The Great Gatsby. They recorded a demo tape and three months later Ricciardi left the band, to be replaced by Peter Heppner. Heppner, who was recommended by Ricciardi, already knew the brothers, since they had grown up in the same part of Wilhelmsburg and, for the most part, had the same friends. Peter and Markus, even took art classes together. Shortly afterward, Olli left the band while Markus and Peter carried on. At first, they sang the songs Ricciardi had written, but wanting a fresh start Peter began writing new lyrics. Wolfsheim released two more tapes, which they sent out to ten record labels. All ten labels turned them down. Then in 1991, Lothar Garther from Strange Ways Records discovered the talented duo, and released the maxi-CD The Sparrows and the Nightingales. Over 10,000 copies were sold, and Wolfsheim released another maxi called Its Not Too Late. Wolfsheim's debut album, No Happy View, was released in 1992. Selling over 40,000 copies, the material on the album was recorded over a span of two- to three years, and re-mastered in two weeks. Several magazines heralded Wolfsheim as band of the year, as they appeared at their first Zillo Festival. September the following year, two more maxi-CDs, Now I Fall and Thunderheart, were released prior to their second album. The Popkiller album marked a definite improvement for the band. More time was taken in the recording of it, and classical influences were incorporated. Wolfsheim played the Strange Ways Festival that year as well. The Elias maxi-CD was released in 1994 and stayed on the Media Control Charts for five weeks. Apart from playing the Strange Ways Festival that year, Wolfsheim also prepared tracks for their upcoming early years best of album, 55578 . Released in February of 1995, the best of featured tracks from 1987 to 1995. The limited edition of 55578 was produced as 55,578 copies containing a bonus live CD recorded from the Strange Ways Festival in 1994. A new maxi-CD, Closer Still, was released later that year in November. Wolfsheim worked with producer Jose Alvarez to produce their third album, Dreaming Apes, in February 1996, containing two tracks completely sung in German, and four instrumentals. In May, they released another maxi-CD titled A New Starsystem Has Been Explored, along with a video release of the track. In 1997, they released their first live CD, Hamburg, Rom, which was recorded during their 1996 tour. Along with Axel Ermes from Girls Under Glass, and Christoph Bolwin from Stalin, Markus released a side project that year titled Der Genetische Traum under the moniker Neustart. In 1998, Wolfsheim prepared to release their most successful album to date by releasing the first single from it, Once in a Lifetime, in October, and the second single, Its Hurting for the First Time, around Christmas. Finally in February 1999, Wolfsheim released their fifth album, Spectators. The album remained at number two on the German Media Control Charts for several weeks, and became one of the most sought-after synth-pop albums of all time. The band also released the Knstliche Welten maxi-CD and the limited Sleep Somehow vinyl later that year. In 2001, Metropolis Records brought Wolfsheim to American ears, by releasing the Spectators album domestically. Wolfsheim blends retro-synth-pop with electro to create an elaborate concoction of emotions and feelings with their first U.S. release, and first for Metropolis Records, Spectators. Comparable to Depeche Mode's Violator, Spectators grabs hold of you and leads you down iridescent halls of radiance conveying messages of love, loss, and relationships while reminding you nothing is perfect and we are only human. For 2003, the band has once again returned to the spotlight with their much-anticipated follow-up, Casting Shadows. Casting Shadows is an aural delight thanks to the excellent production from Axel Breitung (Echo award winning Best National Producer 2001), Peter Heppner's unmistakable vocals, and Marcus Reinhardt's innovative musical sequences. 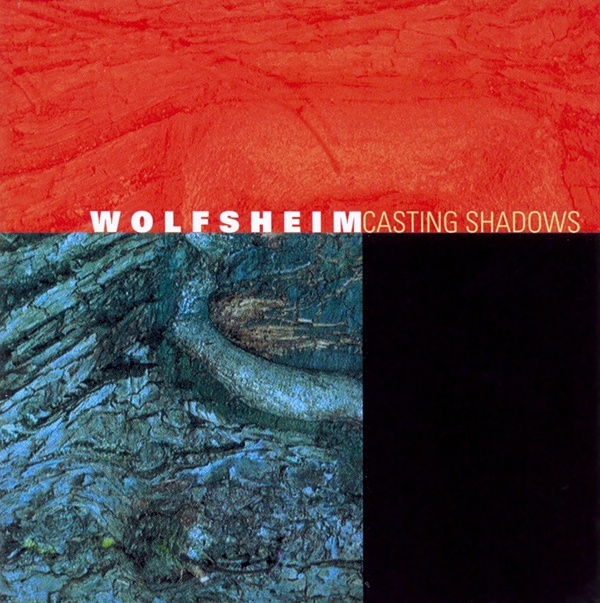 The soundtrack to a lifetime, Wolfsheim's Casting Shadows will capture the hearts of generations to come.